By nature we are curious creatures and when it comes to money that curiosity increases, especially when it's how much other people are spending.  That's the first thing that will attract you to Bundle.com, but it's what you find after this that makes Bundle a useful tool that you'll come back to again and again. Bundle is a new Web site, currently in beta, that aggregates spending information from many sources including the government, Citi and others, to provide incredibly detailed data on what your neighbors are spending money on. Whether you want to make sure you aren't overpaying for utilities or are just generally curious Bundle is able to tell you what other people around you are spending on specific categories; even allowing you to segment by age, income and household type to really show how you stack up. 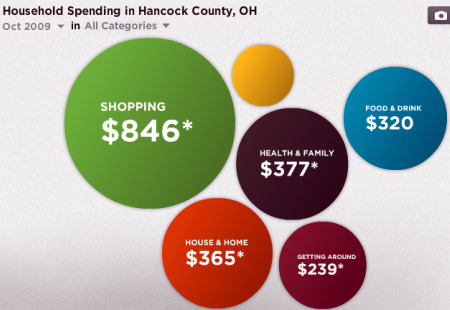 When you first run the Everybody's Money Tool on Bundle you'll see six spending categories: Shopping, House & Home, Health & Family, Food & Drink, Travel & Leisure and Getting Around, which show the average amount spent by people in your city, county or state.  If you want to know more about a specific category you can "Go deep" which breaks each category down into smaller, more specific, segments. For example, clicking on House & Home (which doesn't include rent or mortgage) you will see items like utilities, home improvement, phone and home maintenance. Clicking any of these allows you to go even deeper and see in even greater detail specific expenditure stats like percentile breakdown, average monthly spend, share of monthly spend and average purchase size. If you really want to narrow in on how you relate to other people like you who live in your neighborhood, comparing your spending habits with others who spend like you, take the Bundle Spending Quiz which identifies what spending type you are. After answering a few questions Bundle correctly decided that I am a "Wired Thing" spending type. 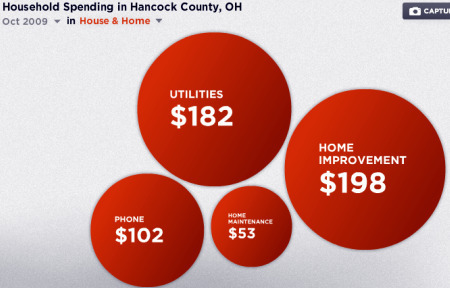 You'll notice in the image below that the Wired Thing spending details are much different than the county overall; and truth be told, better represent my spending habits. While it's fun to know how you compare to your neighbors, where Bundle really carves out a spot as a useful tool is the ability to compare the average spending in one location with another. This is really handy when you are weighing the decision to move to another city for a job. 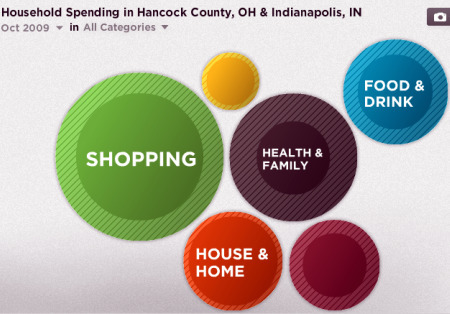 When I compared my current location with the average spending in Indianapolis, where I had been offered a job recently, I quickly saw how much more I would likely spend based on other people who fit my spending profile. This can help you figure out how much more you would need to earn to maintain your current standards and is really useful when moving from a small city to a larger urban setting. Right now the spending data is updated every quarter, with data from October 2009 being the most current. 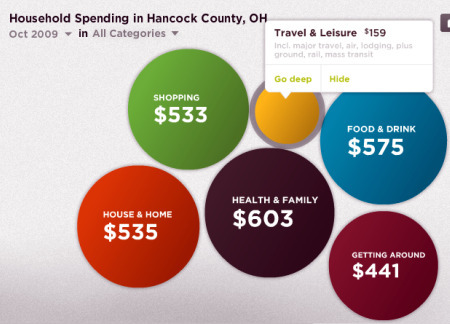 Users can filter the data by month back through September 2009 to better understand how spending habits change by season. 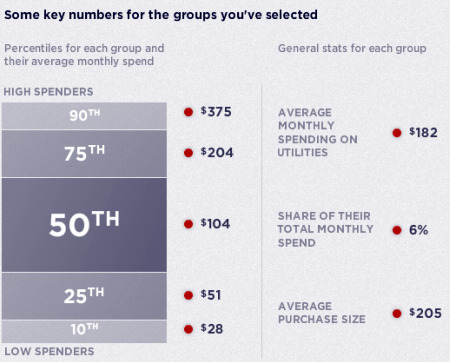 According to the Bundle site, soon you'll be able to explore consumer saving habits in a similar manner to see how you stack up to your neighbors and peer spending groups, which could provide a bit of competition and spur savings. Bundle also allows users to share their observations and money tips in a section called "Discoveries" that contains interesting comparisons that users have made, thoughts on spending habits and even the plea not to judge spending $1,000 on a purse! In addition to these user generated items, Bundle also provides an "Our Picks" segment that covers items in more depth and offers thoughts on money. These are interesting but this section feels incomplete and needs some more work to provide anything other than interesting observations. Whether you're just curious how your spending compares to your neighbors or are looking at how much it might increase with a move, Bundle provides a fun and interactive way to learn about spending habits. I can't wait for them to release the December spending data to see how y holiday spending compares to those around me.